If you are going to change your operating system(windows to ubuntu) or just browser then naturally you don’t want to loose all the settings(bookmarks,saved password,proxy..).So this post is aimed to explain you to import the Internet Explorer settings into Mozilla Firefox in few steps. 1. Open Internet Explorer and click on File->Import and Export. 2. 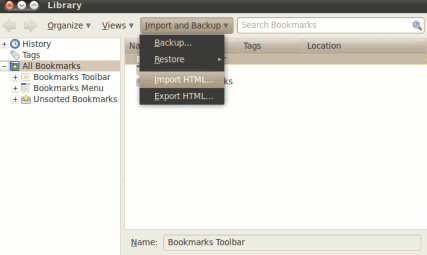 Then Export the settings of Internet Explorer in the file name “bookmark.htm” and save it to Desktop. 3. If you are migrating from Windows to ubuntu then restart the computer.Next,boot through ubuntu,then mount the windows partition and go to Desktop to get the “bookmark.htm” file otherwise skip this step. 4. 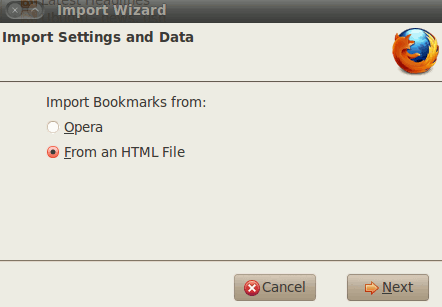 Now you can easily import the settings to Firefox through Import and Backup Wizard.Click on Import html.. and then a new window will appear,select from html file through which you will be able to select the file bookmark.htm for importing the settings of internet explorer.